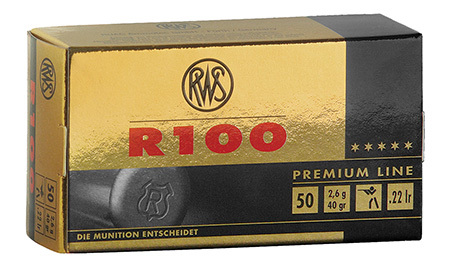 The RWS R 100 is the preferred cartridge with internationally successful sport shooters. High speeds in the supersonic range and superior accuracy make the RWS R 100 the first choice for silhouette shooting with rifle and pistol. Suitable for 50 and 100 m. Please check with the applicable regulations of the IBU when you want to use R 100 RWS .22 rimfire cartridges in biathlon.